My short bio: In 1981 I moved to Rajneeshpuram with my mother. She is briefly in Wild Wild Country, episode 6, a little english woman. I was in Sheela's house when Shanti B told her kids they were leaving. I visited Sheela and Shanti B in prison in Pleasanton when they were incarcerated, I went with Shanti B's (Jane Storks') son who was my best friend. 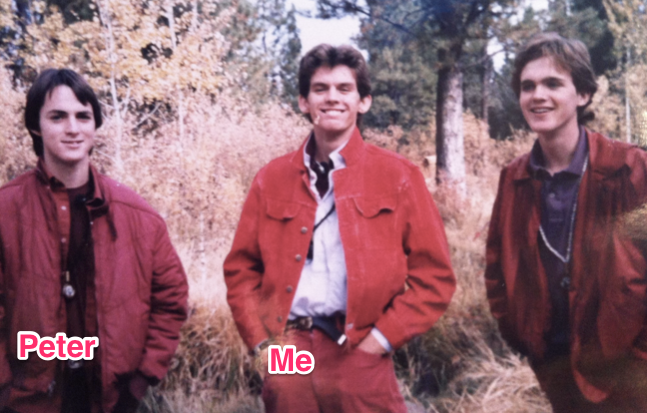 My Proof: https://dickonkent.com/wp-content/uploads/2018/04/us-3.png This is a picture of myself (in middle) with Jane Stork's son Peter before we left the ranch. My short bio: I’m Kathleen McGrory, the Tampa Bay Times reporter who spent months investigating the diaper industry. I learned diapers are tiny miracles of industrial science, and the technology that keeps babies dry has improved dramatically over the last few decades. Today’s diapers are carefully engineered to absorb a large amount of urine and then instantly dry out. And they are soft. Really soft. To show how they work, my colleague Eli Zhang tore some open, filmed them absorbing squirts of water, and made this interactive graphic. Our reporting found that manufacturers face pressure to make products that are fancier and longer lasting (i.e. more expensive). But we also discovered that one in three families in the United Stars struggle to afford diapers, and public assistance programs don’t give much help to parents who need these essential products. Click here to read the story, then AUA! My short bio: Hello Reddit! My name is Christian Selmoni, Style and Heritage Director at Vacheron Constantin. I know that the r/Watches subreddit is pretty active, so feel free to ask me anything! 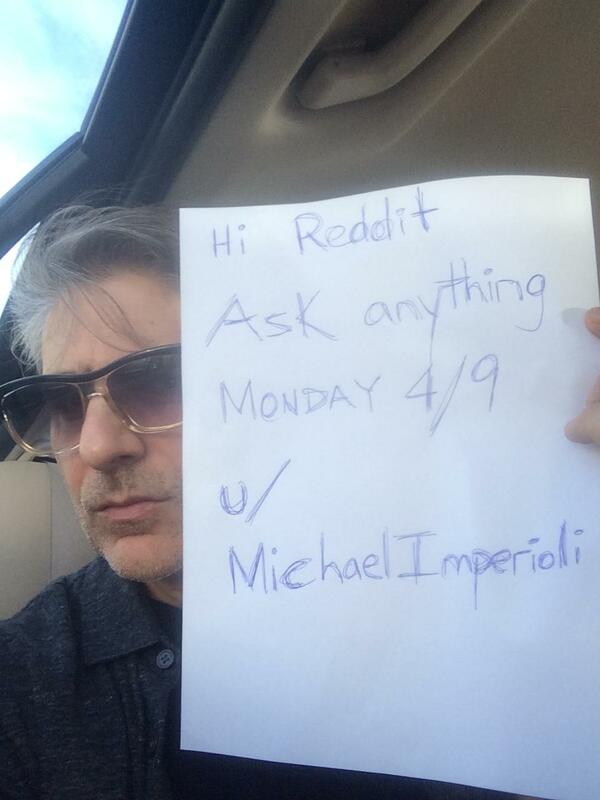 Edit: Thank you everyone for the questions. Our first time doing something like this and we realise we might have posted at a difficult time. I am going to have to go back to the phone lines now but please continue to post questions and me and the team will answer them when we can. It may be next week. Apologies if we can't get back to you today - Grace. Around 50 million people worldwide are affected by epilepsy. Purple Day, the International Day for Epilepsy Awareness, is on Monday 26 March. I'm Grace from the Epilepsy Action (www.epilepsy.org.uk) helpline. Please ask me any question you have about epilepsy. Different seizure types, myth busting, first aid, daily living, SUDEP. Please note - I am not a medical professional. I can't diagnose or recommend products. I am part of an international team that studies Archaeopteryx with microtomography using synchrotron light. Archaeopteryx is a feathered dinosaur from the Late Jurassic of Bavaria in Germany. We just found out that the cross cuts of its wing bones look remarkably like those of modern birds and interpreted this as evidence for active flight. However, we also recalled that the skeleton of Archaeopteryx was not equipped with the advanced flight adaptations that all present-day flying birds share. Furthermore, the recent years have uncovered evidence for various previously unrecognised aerial strategies that were adopted by early bird-like dinosaurs. This led us to the conclusion that Archaeopteryx, which remains among the oldest of them, must have represented one of many such evolutionary experiments of dinosaurian flight that ultimately went extinct, leaving only the flight of living birds today. Tomography in general - and synchrotron microtomography in particular - continues to unlock new possibilities for non-destructive and three-dimensional visualisation of important fossils. This promises much for the future of studying the past! I said a few words on Science Friday and enjoyed a good talk with Dave from Palaeocast just now. EDIT: Thank you all very much for having joined me here to talk about Archaeopteryx! I will have to return to finishing my preparations for my defence later this week but hope to have sufficiently addressed your interesting questions! Hi, I'm a 30 year old guy who went to the doctor around Thanksgiving because I was having trouble breathing. Turns out I had something called "hypertensive emergency" which is when you have blood pressure so high that it causes organ damage. My blood pressure at the time of admission was 210/145. So I was admitted to the hospital under that diagnosis with renal failure, respiratory failure, and heart failure being the three main issues. Turns out the heart and lung failure were not collapsing on their own but were secondary to the hypertension and the kidney failure. I spent a week in the hospital, including 4 days in the ICU and now everything is back to normal except my kidneys are failed, I need dialysis three times a week, and I need a new kidney. They also diagnosed me as having malignment hypertension (which sounds like something out of the Lord of the Rings, imo) but it basically is hypertension on crack. Left uncontrolled, my blood pressure wants to skyrocket. It happens to one percent of folks with "normal" hypertension -- which I didn't realize I had because I was doing that late 20s guy thing where I didn't go to the doctor. Don't do that, fyi. I am currently at dialysis getting my blood cleaned of excess electrolytes which will kill you if they build up too much. 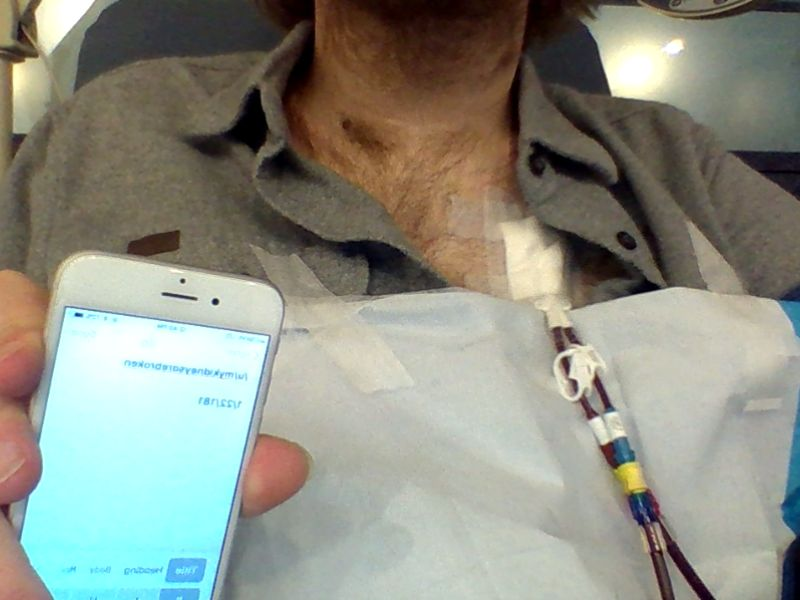 proof: here is a picture of my chest tubes pumping out my toxin riddled blood and the dialysis machine pumping back in my slightly less toxin riddled blood. I’m Paul Thomas Anderson, writer and director of PHANTOM THREAD, which opens nationwide this Friday. The film stars Daniel Day-Lewis, Lesley Manville, and Vicky Krieps. I’ve also written and directed There Will Be Blood and The Master. THIS IS MY CLOSING STATEMENT! I've got to run and eat lunch....will try and come back and answer a few more later if I can....this was fun. Thank you all very much. 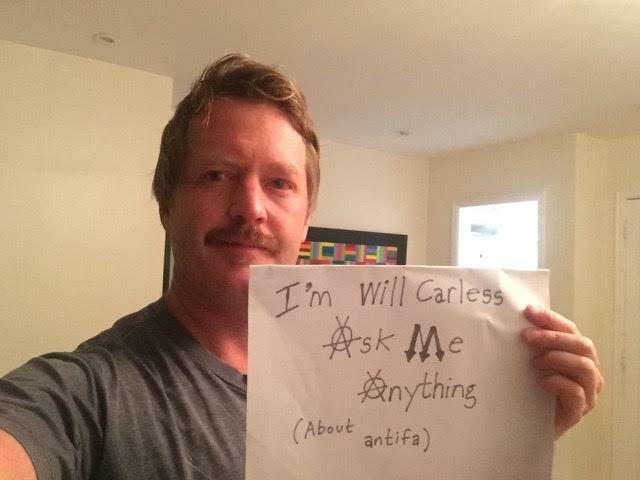 I'm Will Carless, a reporter at Reveal from The Center for Investigative Reporting, where I cover hate and extremism in the U.S. I recently embedded with anti-fascists and discovered that they have a "hit list" of alt-right activists, which they disseminate ahead of protests. Many of them believe that pre-emptive violence is the only way to shut down hate speech. Sensory Goods has been a company for 6 years. It began when I decided to help people who suffer from autism like my children. Since the company's founding, we have expanded our scope to assisting people in dealing with multiple disorders that affect sleep and comfort. Our goal is to spread awareness about these disorders. Feel free to ask me any questions you may have about these sensory issues and how certain products can help deal with them. EDIT: We are heading out for the day. 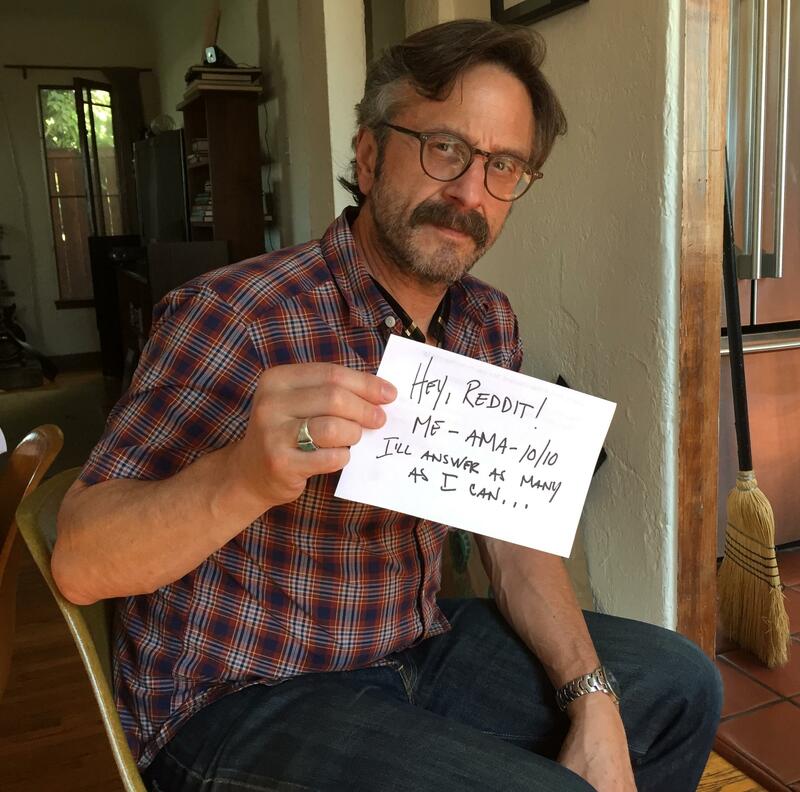 We appreciate your time and we very much enjoyed responding to the questions in this AMA. We will be available to try and answer any more questions you may have tomorrow! Feel free to contact us through our Facebook or our website. Have a great night! Sleep well! EDIT (Again): Now I'm actually signing off for the night! Sleep well! Hi Reddit, we are the Cody Firearms Museum here to answer questions. We are a museum in NW Wyoming near Yellowstone and we have over 7,000 firearms and 28,000+ related artifacts in our collection. We interpret the history of firearms from the 1400s to the present. Our oldest firearm dates to at least the fifteenth century and our newest was made last year. We are the repository for the Winchester Factory Collection & Corporate Archive, the Eli Whitney Jr. Collection, the Benjamin Butler Collection, and the Edwin Pugsley Collection. We also have the archives of Schuyler, Hartley, & Graham, Marlin, L.C. Smith, and Ithaca. We are part of the Buffalo Bill Center of the West, which includes the Whitney Western Art Museum, Plains Indian Museum, Buffalo Bill Museum, Draper Natural History Museum, and McCracken Research Library. The Center is celebrating its 100th anniversary this year and we currently planning a major renovation of our museum. If you want to search our collection go here for objects, or here for archival material, or just check our post history. Our Curator, Ashley, and Assistant Curator, Danny, are here to answer your questions for the next couple of hours. Ask us about firearms history, museums, or whatever. Or check us out on Facebook or Instagram. Update: Thanks for the questions everyone! We had fun. We have to run to meetings, but if you have more ask and we'll check back.